Robert Marzano is the CEO of Marzano Research Laboratory in Centennial, Colo. He is the author of 30 books, 150 articles and chapters in books, and 100 sets of curriculum materials for teachers and students in grades K–12. During his 40 years in public education, Marzano has worked in every state multiple times as well as a host of countries in Europe and Asia. Marzano received a bachelor's degree in English from Iona College in New York, a master's degree in education in reading/language arts from Seattle University, and a doctorate in curriculum and instruction from the University of Washington. 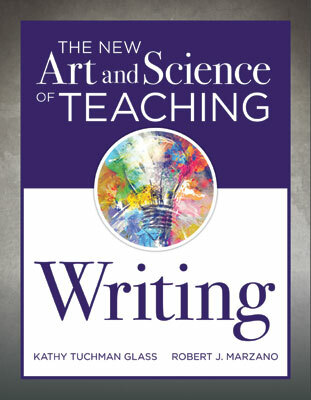 This book takes the framework in The New Art and Science of Teaching and offers more than one hundred detailed strategies for and examples of implementation for writing instruction.